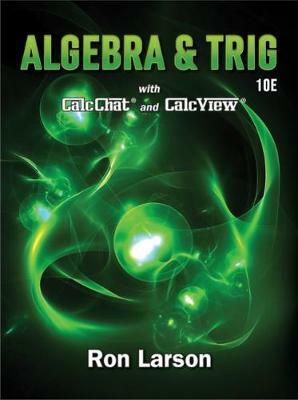 Larson's ALGEBRA AND TRIGONOMETRY incorporates real-world applications, ongoing review, and innovative technology. How Do You See It? exercises give you practice applying the concepts, and new Summarize features and Checkpoint problems reinforce understanding of the skill sets to help you better prepare for tests.